‘The Village’ final episode on BBC One, 9pm.. 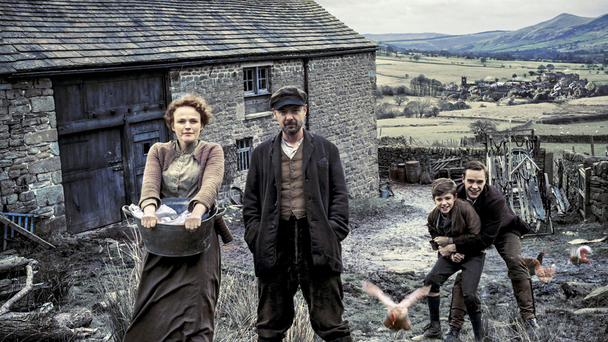 The sixth and final episode of the BBC’s drama series ‘The Village’ airs this evening. Old Bert’s reminiscences reach the year 1920, and the war may be over but it continues to cast a long shadow as the villagers try to come to terms with their losses. Schoolteacher Gerard Eyre is released from prison, having been locked up as a conscientious objector, and returns to find a place of change – but when Bert, now 18, invites his former teacher to stay at the family farm, it leads to open hostility with John, as the Middletons struggle to come to terms with their own grief. A war memorial is unveiled – but there is upset when one name is left off the list of the fallen. John Simm plays John Middleton, Maxine Peake plays Grace Middleton, Alfie Stewart plays Teen Bert, Matt Stokoe plays Gerard Eyre, Joe Armstrong plays Detective Bairstow, Rupert Evans plays Edmund Allingham, Juliet Stevenson plays Clem Allingham, Annabelle Apsion plays Margaret. The Village is on BBC One and BBC One HD at 9pm tonight!